This very idealistic statement by the World Tourism Organization emphasises what could be the case. However, tourists in many areas actually contribute to water scarcity and inequity, through the appropriation of public water supplies, over exploitation of aquifers, lowering of groundwater tables, and contamination of freshwater by saltwater and sewage. This leads to conflict and resentment among local people, and threatens the sustainability of tourism, which in turn further damages the economy of the places being visited. To be sustainable, tourism to countries or areas with water supply problems needs to be carefully managed in a way that improves local conditions rather than adds to the problems. The right to water constitutes one of the most fundamental human rights. For many communities, particularly those living in the Global South, this right is being compromised by tourism development. The inequities of water access and availability between resorts, large hotels and golf courses on the one hand, and local communities and small-scale tourism entrepreneurs on the other, are starkly played out in holiday destinations in some of the world’s poorest countries. While hotels ensure their guests can have several showers a day, swimming pools, a round of golf and lush gardens, neighbouring households, small businesses and agricultural producers can regularly endure severe water scarcity. As long as hotels are prioritised over communities, conflict and resentment will grow, so undermining the potential for tourism to contribute to sustainable development. Hotel development needs to be carefully regulated to ensure that hotels and resorts do not syphon off – quite literally – much needed water from local communities. Developments in places like Bali, Goa, Zanzibar and the Gambia have led to the privatisation of water supplies, placing poorer sections of the communities in serious health risk, not to mention financial distress. Scarcity of water is rarely about its complete absence; it is much more often about its misappropriation. Tourism is a major contributor to Zanzibar’s economy, yet the benefits have not been felt by all. Almost half the population remain in poverty. According to the British Department for International Development (DFID), in 2011 just half of the rural residents had access to a water source. Women in particular spend significant amounts of time fetching water, which diverts them from other income-generating activities, and means that women face the most immediate problems when water is scarce. In the popular resort areas of Nungwi there are stark inequalities between water access for local communities and the growing number of hotels. On average, households in the village consume 93.2 litres of water per day, whereas the average consumption per room per day in a hotel is 3,195 litres. Wall to wall guesthouses surround the village of Nungwi. Water supply here is hugely problematic: local inhabitants report that the well has become too saline for use. The one remaining public borehole and pump are inadequate, which means that villagers have to obtain water from a town 20 km away. Meanwhile, four of the larger hotels have sunk their own boreholes. This inequity between hotels and local residents has resulted in conflict, with hotel water pipelines being cut by residents, which has then resulted in hotels hiring guards to protect them. Part of any new regulatory framework must be recommendations concerning sustainability of water supply and sanitation. This cannot be left to hotels themselves, or to developers, for such concerns do not immediately rise to the top of their list of priorities. Sustainability entails costs, and these need to be borne by everyone in a fair way. Government has to mediate on behalf of its citizens to ensure that this is achieved. Education is likely to play a large part in raising awareness of sustainability, and this will apply to schools, businesses, planners and architects, and property developers. Engineers will need to be trained and employed to ensure that good systems are put in place, maintained and improved. The tourist industry will have to play its part; it must become part of the solution rather than a large part of the problem. Goa is an extremely popular destination in India with its sandy beaches and natural beauty, but it has become a victim of its own popularity and is facing huge water challenges as a result of poor management. These issues are threatening the sustainability of Goa as a tourist destination as well as the well-being of the local communities. The state government’s drive towards high-end tourism, characterised by its five-star resorts with swimming pools and golf courses is seeing the increased privatisation of Goa’s coastline, placing an intense burden on the already strained freshwater resources and infrastructure. The problem is being further compounded by the widespread pollution of Goa’s rivers, groundwater and wells from untreated sewage and dumped waste to which the tourism sector is a significant contributor. The growing privatisation of water apparently remains outside of the law. Monitoring and enforcement of basic regulations is minimal owing to a lack of resources, political will and corruption. There is little incentive to do things well and few sanctions for doing things badly. In this political vacuum, the tourism industry is relatively unregulated, with the result that water problems are not being addressed and resolved. Water needs to be on top of the agenda, not only regarding availability and access, but also in terms of the infrastructure and good governance vital to maintaining sustainability. 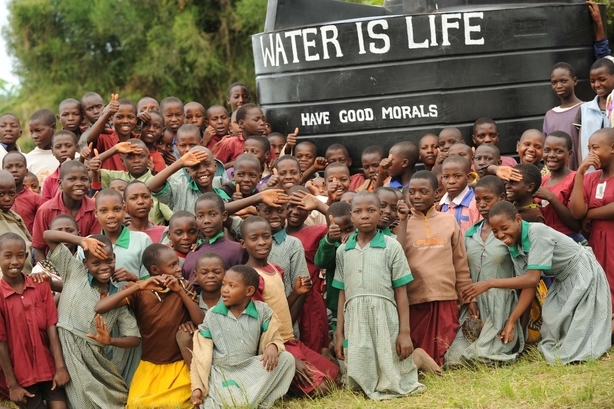 Good water supplies are also essential to sound sanitation. It is imperative that waste is disposed of safely and that water supplies are not contaminated in the process. Diseases like cholera and typhoid are endemic when this is not the case. These matters hit the headlines when natural disasters like earthquakes strike and destroy elements of the water infrastructure. Water contamination is a problem in many parts of the world. The improper disposal of sewage and dry waste, as well as increasing saltwater intrusion caused by groundwater over-extraction is contaminating groundwater and waterways, forcing communities to increase dependence on erratic public supplies or unregulated private vendors. The absence of monitoring here means there is limited knowledge of existing and future water availability. This is a massive problem that is posing risks to community health and well-being (>> Goal 3), impeding socio-economic mobility, harming livelihoods, threatening food security and undermining the sustainability of the tourism sector itself. Houseboat tourism is booming on the backwaters of Kerala. While this provides economic benefits for some, the livelihoods and drinking water access for many local communities are being severely threatened. Poorly regulated tourism is affecting water quality, eco-systems and traditional livelihoods. In the backwater area of Alappuzha, people’s entire way of life is intimately connected to the backwaters, which they rely upon for fishing, drinking, bathing, cooking, and other livelihood activities, such as rice farming. The livelihood of the people depends on the quality of water. Houseboats leak diesel and other pollutants directly into waterways. These petrochemicals harm and disrupt the ecosystems. Oil coats the fish, causing their death or migration to less polluted areas, and bird species decline. Very few households enjoy access to piped water, and those that do report it is erratic and inadequate. Many have no choice but to depend on contaminated sources. Paddy fields are directly irrigated by the backwaters, which mean that oil, sewage and rubbish from the houseboats can flow into these agricultural units. Workers are afraid to work on the land for fear for their health. Universal availability and access to pure water supplies for all is a human right. It should be enshrined as such in any government policies regarding water and sanitation. It should be the duty of all citizens and law enforcement agencies to maintain these rights to the utmost of their abilities. Improvements will be gained where there is close collaboration between all users of water and a common sense of purpose regarding access, sustainability and conservation. Close monitoring and inspection regimes will be essential in this process, together with properly understood sanctions for violations of codes. A healthy tourist industry will be one that plays its part in supporting sound water policies across the globe. Tourists themselves should exercise sanctions regarding areas of the world in which water is not taken seriously for all. As citizens of the world we all share a moral imperative to support the human rights of others, in this case concerning access to water. Good governance is key to this issue, including proper regulatory frameworks, monitoring and enforcement of existing regulations, adequate planning and accountability. As women bear the burdens of water scarcity, they need to be engaged fully in finding local solutions in a fair and democratic manner (>> Goal 5). Water should be treated as a social and cultural good, and not primarily as an economic good. Privatisation of water supplies should be strongly opposed as being against public interests and good governance. Governments need to act strongly to improve equitable access to water and sanitation for all of their people and not just for some (>> Goal 10). Tourist companies and tourists themselves need to see themselves as guardians of these rights in order to maintain pressure on government agencies and hotels to follow good practice (>> Goal 16 Governance). As before, there is a need for a comprehensive regulatory framework to establish sustainable management practice. The tourist industry itself should look to its practice in order to ensure its own sustainability. Education is needed at all levels to ensure a full understanding of issues raised by sustainability (>> Goal 4). Tourists themselves can play a part in supporting efforts to change for the better, putting pressure on government agencies and tourist companies to play a responsible role (>> Goal 12). Effective planning regulations are essential. There needs to be proper enforcement of strong regulations. Local communities need to be educated to play their part in local enforcement of standards. Use of the waterways needs to be properly regulated and monitored. The tourist industry can play an important, proactive part in helping to raise awareness and standards. Taxes raised from the industry should be used to gain improvements. Educational efforts could be targeted on women, children and marginalised groups – notably indigenous peoples – to ensure that they are fully involved in efforts to gain improvements. Governments are obliged to respect, fulfil and protect the rights to water and sanitation of their citizens. This means taking active measures to extend these rights to all citizens and governments are obliged to protect water rights against abuses by corporate interests including those engaged in tourism – such as over extraction, appropriation and pollution of water resources. Water rights are frequently bound up with the ways in which people earn their livelihoods. Population growth, scientific progress and climate change (>> Goal 13) are all having an effect on these often traditional ways of life. Yet it is important to treat people’s rights and customs with respect and to acknowledge their own expertise. If water rights are to be protected for all, the process should include everyone in the debate and the development of strategies for best ways forward – for only then can we be sure of proper implementation. International tour operators and multinational hotel groups have a vested interest and responsibility to understand and address these issues and to influence local counterparts and authorities accordingly. The tourism sector can play a key role in capacity building, technology transfer, sensitization and advocacy. Those engaged in good practice need to share expertise and serve as examples to others. Tourists must be sensitized to how they can reduce their water consumption in support of water equity. Tourism cannot thrive in a destination that lacks water and cannot deal with its waste. Tourists surely have a moral duty to ensure that their travel does not endanger others. Green Hoteliers (2013): Water management and responsibility in Hotels. www.greenhotelier.org/know-how-guides/water-management-and-responsibility-in-hotels/ , accessed 25th October 2016. Tourism Concern (2012): Water equity in Tourism: A Human Right – A Global Responsibility. Report written and researched by Rachel Noble, Mia Brown, Stroma Cole, Lorna Slade, Rebecca Latchford and Dauda Niang, Anabel da Gama.